On some cars there is a separate AC evaporator in the rear of the vehicle any leaks in the pipework can sometimes be expensive to replace due to the design of this pipework. Examples of this, which are quite repairable, might be the Land Rover Discovery 3, Mitsubishi Pajero and Toyota Land Cruiser. Due to there design can make repairing the pipes to the rear extremely difficult and expensive, Blanking off the rear system entirely so that AC in the front of the car can still function as designed can still bring these systems back into life , which is usually perfectly adequate in the UK. 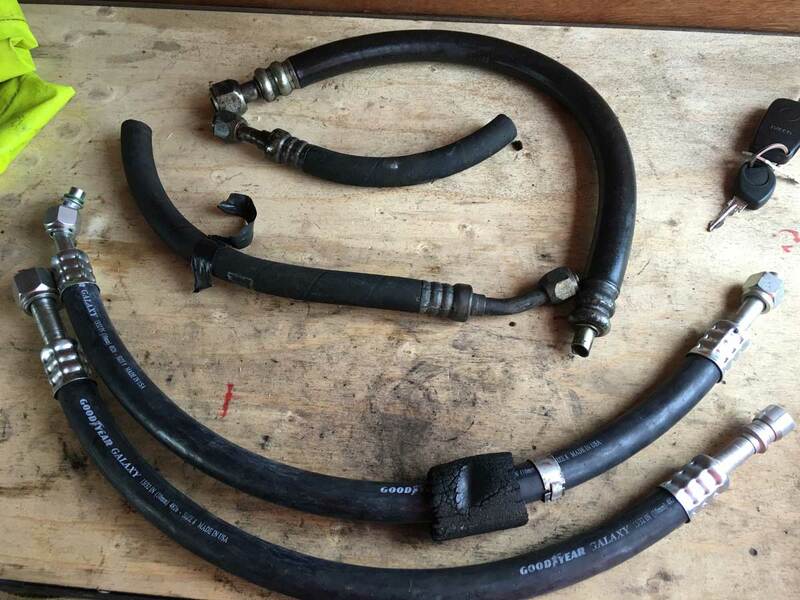 There are many occasions on cars where a pipe might have been damaged in an accident (perhaps months before the leak happened) or has developed a leak under a retaining clip where the most sensible solution is to simply replace with the manufacturers standard hose. Sometimes however the total replacement of the faulty hose can make for a very expensive repair due to the labour involved. We carry 3 different repair methods, burgers flex crimp, lockring system and hydraulic crimp we carry about 1500 different fittings and all common sizes of hose in both standard and reduced barrier. We are fast becoming Kent's leading R12 to RS24 mobile replacement specialist. We are based in Folkestone but cover the whole of Kent and also the surrounding areas of the M25.